September 6 2014 Just got off the sailing boat and all I'd like to do is get right back on it! We had an awesome time and a fantastic skipper, David Thank you and see you again, Ania Enjoyed a lot the holidays thanks to you. So nice sailing ans swimming on those beautiful turquoise bays. Particularly thank you David for your help. All the best Lise. Dear Steph and Mark We had 6 wonderful cruise days on Ipomea. Your preparation and recommendations were excellent and made our trip an absolute pleasure! Thank you for your help in organizing our great sailing trip. Alessio, Matteo, Paolo 19-29 July 2014 We took Voyager for some sailing heading East. The first day was a nice ‘ride’ with Meltemi pushing from the back. 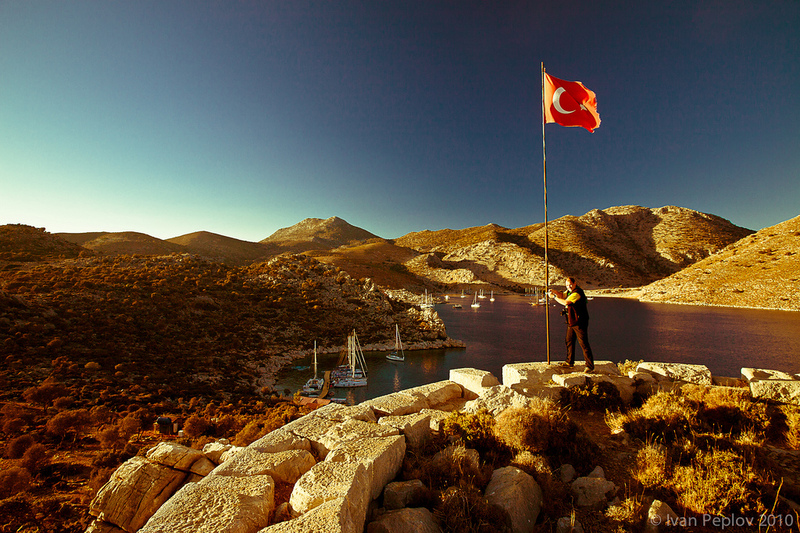 We sleep in the Fethiye gulf, Kapi Creek. Windwhistle can be chartered as 3 or 4 cabin layout. 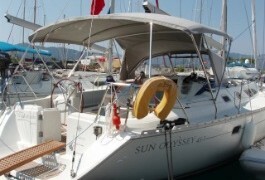 She has some great additions including bowthruster, bimini, sprayhood & additional sunshades to keep you cool.